r its users, it would be the battery life. The iPhone 5 battery lifespan, for instance, has been a big issue even years after the phone has been released. For Apple, it is tricky to tailor the batteries while maintaining the overall performance of the phone. They make sure that the model is carefully engineered to adapt to the latest technologies. Generally speaking, batteries are complex to deal with. 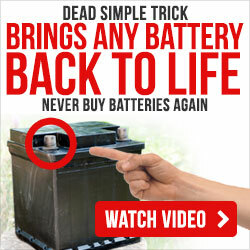 Any battery that is rechargeable has a short life span. And if the user utilizes an iPhone for more than one purpose and starts multitasking, you know the lifespan even grows shorter. In this article, we will be tackling iPhone 5’s battery lifespan and some tips on how you can maximize and extend your iPhone’s battery life in general. iPhone 5 is not only designed for texting and calling. When it got released in September of 2012, it boasted a ton of other advanced features including its retina display screen, 4G LTE connection and Apple A6 processor. The processor enables the user to check on emails quickly or view files of different formats while on the go. It also allows you to make phone calls for a total of 8 hours, and to connect to the WiFi for at least 10 hours. Aside from Internet and call usage, battery life can also be measured by the average time you use the phone for video and audio playback. As per iPhone 5, you can play videos for 10 hours and audio for 40 hours. Overall, the average life that it promises is a whopping 225 hours. Now this may seem a little too unrealistic for you, given how many times you charge your iPhone in a day, right? Well, just like any smart phone that is designed to do multiple tasks, iPhones reduce their maximum battery life as they grow old. There also comes a point when you may not be able to recharge them fully. It can really be frustrating to have to recharge your phone over and over especially when you’re in the middle of work or just browsing through your social media. But just so you know, there are so many ways for you to extend your battery life. The following guide will tell you how. First, you can prevent your phone from updating so often. Are you familiar with the Background App Refresh feature of your iPhone? It studies which apps you use the most on a daily basis. And then it automatically refreshes such apps so that the next time you log in, new information is made available. Likewise, there is another built-in feature that automatically updates your apps when you update to a higher iOS. This drains your battery quickly. You can turn this off by going to Settings, tapping on iTunes & App Store and turn off the Updates option. The second method is by purchasing an extra external battery. This is probably the most logical thing to do, although not so economical. (You can repair your phone battery). If battery life is really a huge issue, then this is for you. It’s a phone accessory that you can easily slip at the back of your iPhone. It extends standby time and the overall charge for hours. Third method is by turning off the App Suggestions option. iPhone suggests new apps for download, specifically for iOS 8 and higher. If you don’t need this, you can turn it off in the Settings too. Just tap on Notification Center, then Siri App Suggestions, then remove it. Fourth is by adjusting your phone’s brightness. It’s best to pick auto-brightness so that your iPhone’s light sensor adjusts to how much light there is in the environment you are in. This will save you energy. Just tap on Settings, Display & Brightness and adjust on the slider. The fifth method is fairly simple and should be done as a routine—turning your WiFi off when not in use. Connecting via any network makes your iPhone perform its tasks double time, which leads to fast battery drainage. Just turn off the connection if you don’t intend to use it. Sixth, you should turn off your Personal Hotspot. As you already know, this feature allows you to serve as an open network for others in the same area as you. Your cellular data is shared, which means your phone works double. To save power, turn this off in the Settings tab. And lastly, check on which apps are draining your battery the moment the battery icon on the top left corner turns red. This feature is specifically found in iOS 8. You can check this out by tapping on Settings and Battery. There you will see which apps are sucking energy the most. Doing this will help you assess which apps you shouldn’t turn on too long when you need extended battery life. 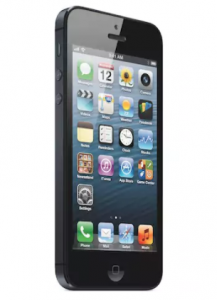 In this article, we have learned about iPhone 5 battery lifespan. We now know that although it should last long, its battery wears out as time goes. The lifespan also depends highly on how much you use it and how many apps you use at a time. Quick loss of battery life is indeed inevitable in any iPhone model. With the list of things you can do to extend your battery life, you now have the power to save more power to avoid the inconvenience of having to recharge and recharge.